Push notifications are a fast and efficient way to communicate with your audience. 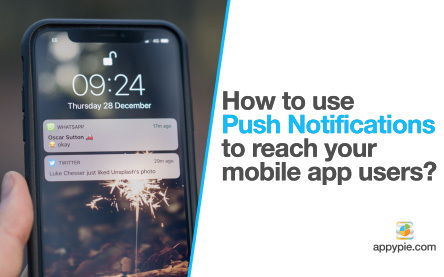 Push notifications can not only help you to attract more customers, they can also work wonders in increasing the conversion rates. In the latest episode of Ask Snappy, we are going to show you exactly how you can use push notifications in your Appy Pie app. This entry was posted in Ask Snappy on March 29, 2019 by DJ.